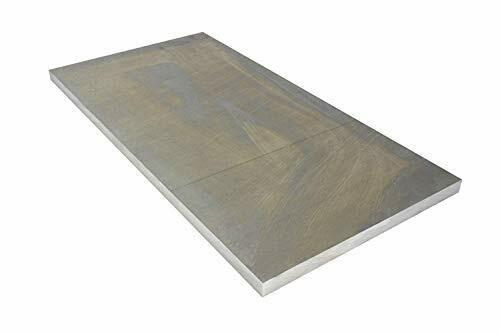 1/2" X 8" X 12" ALUMINUM 6061 FLAT BAR SOLID T6511 New Mill Stock Plate .50"
A6061 Physical properties Density ( )2.70 g/cm3 Mechanical properties Young's modulus (E)68.9 GPa (9,990 ksi) Tensile strength ( t)124-290 MPa (18.0-42.1 ksi) Elongation ( ) at break12-25% Poisson's ratio ( )0.33 Thermal properties Melting temperature (Tm)585 C (1,085 F) Thermal conductivity (k)151-202 W/(m K) Linear thermal expansion coefficient ( )2.32 10-5 K-1 Specific heat capacity (c)897 J/(kg K) Electrical properties Volume resistivity ( )32.5-39.2 nOhm m 6061 is a precipitation-hardened aluminum alloy, containing magnesium and silicon as its major alloying elements. Originally called "Alloy 61S", it was developed in 1935. It has good mechanical properties, exhibits good weldability, and is very commonly extruded (second in popularity only to 6063). It is one of the most common alloys of aluminum for general-purpose use. Forging: 6061 can be forged at temperatures in the range of 750 F to 900 F. Hot working may be done in the temperature range of 500 F to 700 F.
Heat Treating: Solution heat treat at 990 F for adequate time to allow for thorough heating and then water quenched. Precipitation hardening is done at 320 F for 18 hours and air cool, followed by 350 F for 8 hours and air cooled. Annealing: Should be done at 775 F for at 2 to 3 hours at temperature, followed by controlled cooling at 50 F per hour down to 500 F, then air cooled. Aging: The aging precipitation heat treatment is done at 350 F for 8 hours, followed by air cooling. This produces the T6 temper. 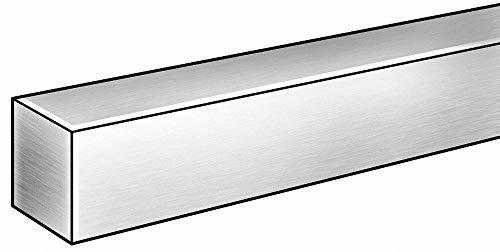 Stanley flat bar, 3/4 in width, 36 in overall length, 1/8 in thickness, aluminum, mill, for gate latches, safety guards, support braces and ladder hangers. Use for gate latches, safety guards, support braces and ladder hangers. 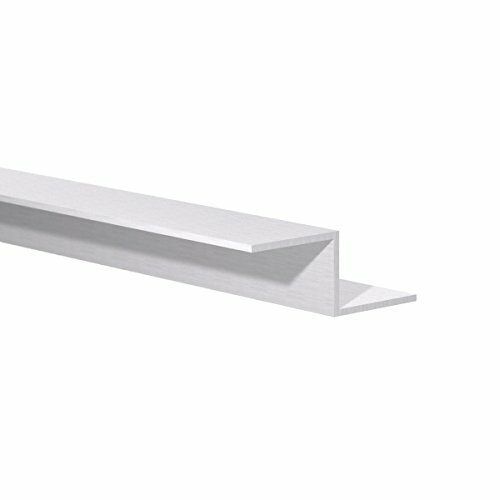 This double angle Z-Channel extrusion is a sharp corner Z-Bar, which is a versatile profile supplying a wide range of home and industry uses including signage, display, framing and support applications. The metal hardware is a 6061 aluminum alloy extrusion, and delivers reliability along with an attractive mill finish which makes it an aesthetically pleasing aluminum bracket which blends easily with modern hardware, moldings and fixtures. 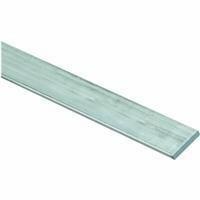 The extruded metal rail is supplied in 6 foot cut lengths. The aluminum Z Bar is also available in 1 foot and 4 foot rail lengths. The zig zag profile molding measures 3/4" H x 1" W x 1/16" Thick. Need More Aluminum Installation Options? Orange Aluminum was founded in 2007 and is headquartered in Orange County, CA, USA. Aluminum is our passion and specialty, making us a trusted resource for aluminum extruded trim, shape, and bar supply. We provide both standard and custom aluminum extrusion solutions and work directly with local mills to provide you with high quality products at competitive prices. 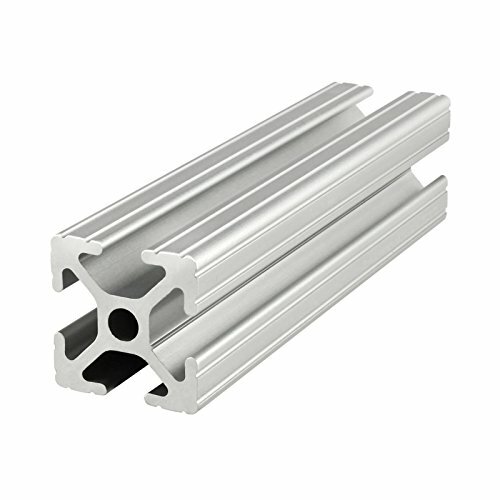 Z BAR MOLDING: This aluminum rail extrusion has a double angle, zig zag profile, and these versatile Zbars are suitable to support many industry applications. 6 FOOT LENGTH: The extrusions are supplied as 6ft length metal rails - 1 foot and 4 foot length aluminum bars are also available. PERFECT FIT: The metal Z-Channel rail is extruded of standard aluminum alloy 6061 and measures 3/4 H x 1 W x 1/16 Thick. MILL FINISH: The metal extrusion has a natural (raw) aluminum finish, for a reliable and attractive aesthetic molding. ORANGE ALUMINUM: Our range of aluminum extrusions includes brackets, rails tubing, trims and other premium hardware for both home and professional use. 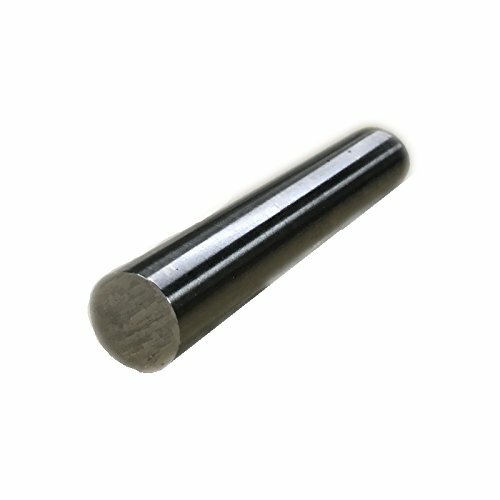 80/20 Inc., 1010, 10 Series, 1" x 1" T-Slotted Extrusion x 97"
Brand: 80/20 Inc | Manufacturer: 80/20 Inc.
Price For: Each Finish: Unpolished Temper: Extruded Material: aluminum Type: Corrosion Resistant Typical Hardness: 95 Typical Yield Strength (PSI): 40, 000 Item: Square Stock Standards: ASTM B221, AMS-QQ-A-200 Typical Tensile Strength (PSI): 45, 000 Alloy Type: 6061 Hardness Scale: BHN Width Tolerance: +/-0.008" Thickness Tolerance: +/-0.008"